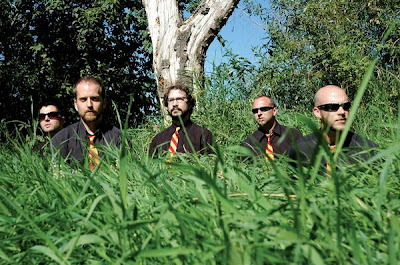 Half Acre Day are five guys from Seattle who have been making music for over a decade. I don't know much about them except for that they appear to enjoy dressing alike, at least two of them are fans of the moustache, and perhaps they once got lost in tall greenery. In addition, their bio talks about mathematical formulae, ossicles oscillating, and toast. I'm a big fan of that last one, and two out of three ain't bad. But seriously, take these songs out for a spin. The sounds coming from their MySpace player are absolutely heavenly, and I've been listening to them all morning on the recommendation of a reader who saw them play in Seattle and wrote to say that they had "a Grandaddy thing going on." I hear that, plus touchstones like the Shins and Swimmers and Fruit Bats. One reviewer called this widescreen indie-pop, which I loved because I definitely hear a charmingly evocative quality here that would fit right into a quirky independent film-festival release. With the chiming melodies, the playful lyrics and intelligent songwriting, these songs have an immediate impact that make my eardrums euphoric. What a way to start the year; pretty sure that it's humanly impossible to dislike these songs. 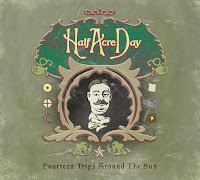 If there's any justice in the world, Half Acre Day could be huge in '08. 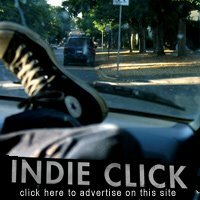 I've been reading your blog for about a year now, found a lot of good music here, and for once I'd like to return the favor. One of my all-time favorite songwriters, Paul Kelly, has just begun giving away free downloads at his site. They're live versions from shows he's been doing for the last few years in Australia where over the course of four nights he plays one hundred of his songs in alphabetical order, and now he's posting his favorites from the shows, one letter of the alphabet per month. The sound quality is very good and if you're not familiar with his music, it's a great way to get introduced. The A's include "Adelaide", "After the Show", and "Anastasia Chnges Her Mind". Hope you like them. Thanks for another great music tip. And a belated congrats on the World Cafe appearance. (I still listen to WXPN via radio even though I've been in FL for 12 years). Loving the Half Acre Day, thanks!